When you think of hunger what comes to mind? Most of us would think of a starving child in a third-world country or an inner city soup kitchen and the long line of homeless people waiting to get in. The reality is that hunger is a problem everywhere in the United States, but may not be so easy to see. Even in this great country of ours, known for its wealth and prosperity, 42 million Americans struggle to find their next meal. The face of hunger has changed. No one is a stranger to the economic hardships of today and as a result every day millions struggle to feed their families. And as terrible as hunger is for adults, it is much worse for children. One in six American children go to bed hungry every night resulting in health problems and cognitive development impairment that affects their social behavior and their academic success. Closer to home, our own Loudoun County has more than 11,000 children that have limited or uncertain availability of nutritionally adequate and safe food; in fact one in six kids in Loudoun qualified for free or reduced price school lunches. So what happens to these kids when they go home for the weekend where there is no cafeteria and the parent or parents may be working and relying on some other care giver? Enter Backpack Buddies, a program model created by Feeding America to provide food for the weekend to elementary school children who are in need. The Feeding America network is the nation’s largest domestic hunger-relief organization, working to connect people with food and end hunger; and for more than 15 years, Feeding America’s BackPack Program has been helping children get the nutritious and easy-to-prepare food they need that will provide them adequate food to eat on the weekends. Loudoun County offers many opportunities to help support hungry kids in our elementary schools through organizations such as Backpack Buddies Foundation of Loudoun and mybackpackbuddies.org. In Sterling Park, St. Matthew’s Episcopal Church and Sterling United Methodist Church provide food for local elementary schools through backpack programs. 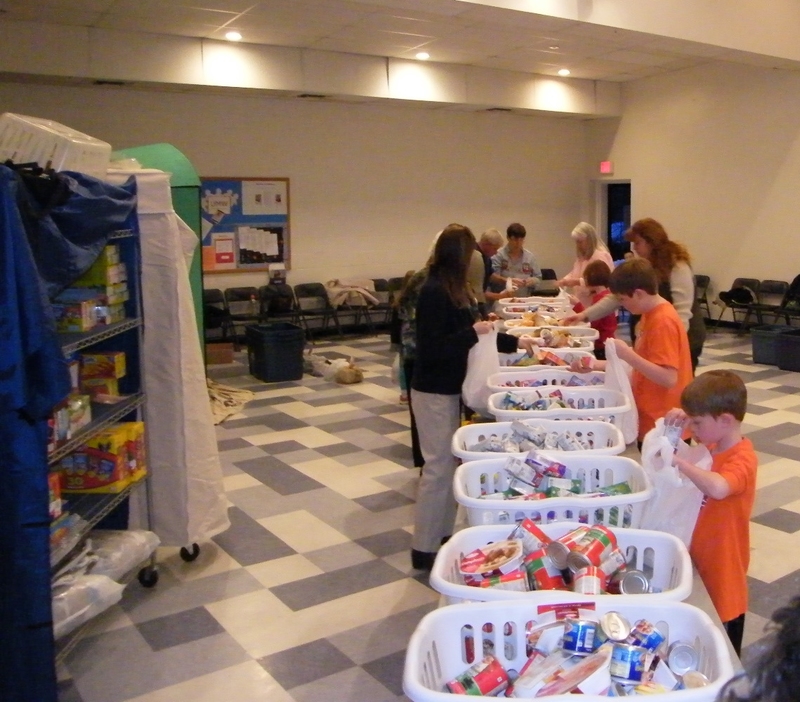 The Sterling United Methodist Church Backpack Buddies was established in 2008 with 25 backpacks. This year’s program will provide 200 “backpacks” every month, the first month will be packed on September 10 at the church. Donations of items such as individual canned meals, fruit cups, juice boxes, milk boxes, individual cereal packets, and individual snacks like granola bars or crackers can be dropped off to the church at 304 East Church Rd. Sterling UMC is a church working with its neighbors in our community. All are welcome to our church family!